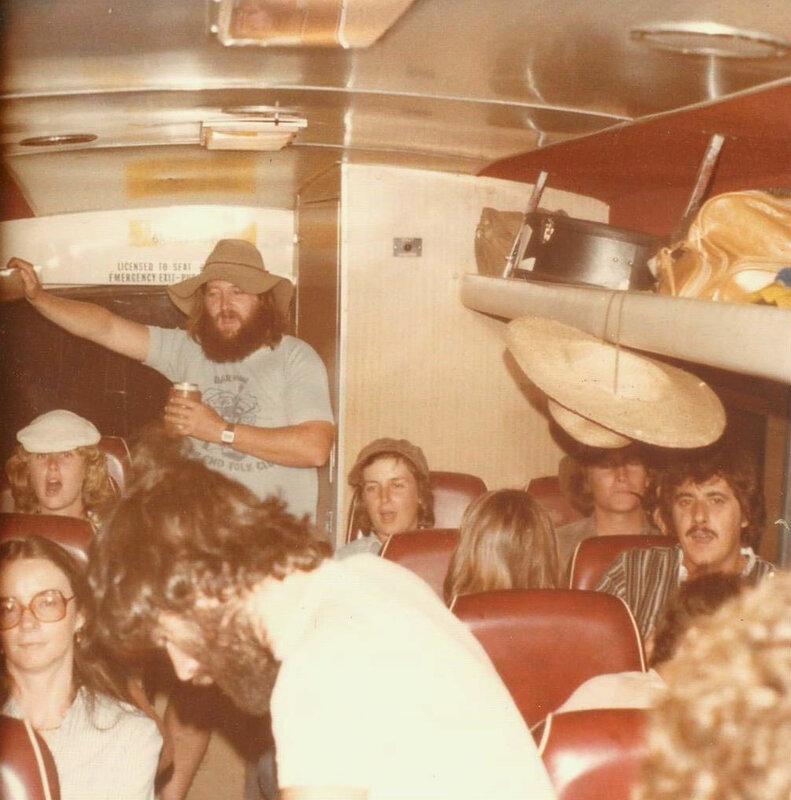 Even in the year the Club was formed, 1971, Peter Bate records that a busload of crazies made the trip from Darwin to Alice Springs for a concert at the Central Australian Folk Society’s clubhouse at Araluen. The following year a festival was held in Darwin termed the Northern Territory Folk Festival, including people from Alice Springs and Mt Isa. It was decided to hold a similar festival every year, called the Top Half Folk Festival. And so the tradition began. Each year the venue was selected, the choice initially being between Alice Springs, Darwin and Mt Isa. In the late 1970s it was agreed to establish and incorporate the Top Half Folk Federation – reputedly so that Alice Springs could bid for the 1980 National Folk Festival – which then coordinated each Top Half Festival to be held on a rotational basis in the three main centres. The Federation, and hence choice of venues, expanded to include Townsville (1981), Katherine (1990, 1994) and Jabiru (1997). Not to be outdone, the small enthusiastic group of folkies in Tennant Creek arranged a number of Gold Rush festivals in the 1980s, which were truly memorable not just for the music and dancing but also for the carousing Friday overnight bus trips from Darwin and the very quiet return on the following Monday. With the demise of the folk scene in Mt Isa and the Federation, since1999 the Top Half Folk Festival has alternated between Alice Springs and Darwin. Moreover, rather than run the festival in the city the venues are now “out of town” – Mary River Park in the Top End in even years, and Glen Helen Resort west of Alice Springs in the odd years. This has proven to be highly successful. The Top Half is one of the longest running folk festivals in Australia. 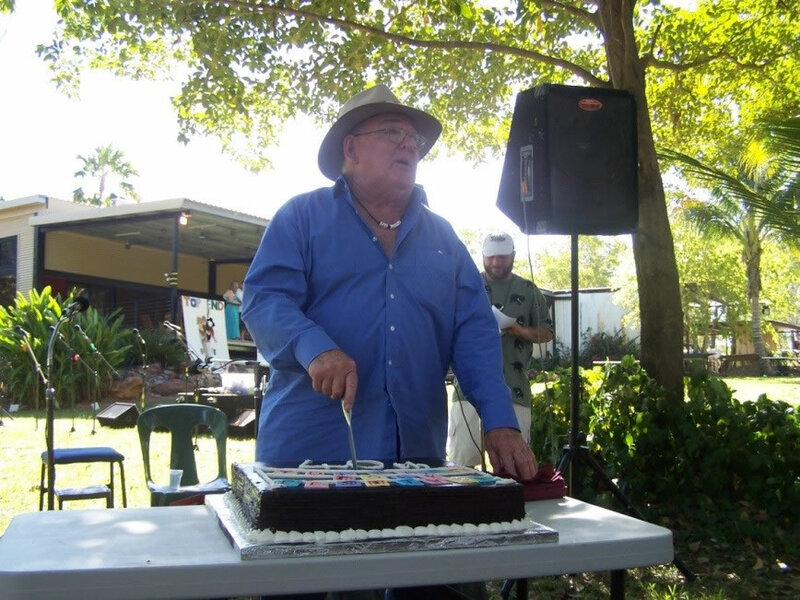 The 44th Top Half Folk Festival will be at Mary River Park, about 110 km east of Darwin on the Arnhem Highway over the 2014 Queen’s Birthday Weekend – 6-9 June. Note: material used to compile the sections on the Club’s history and festivals was obtained from Top Half Folk Festivals 1971-2012, a publication prepared by Peter Bate and available from the Club.